Stay safe while traveling dark roads by taking advantage of our headlight restoration service in Winston-Salem, NC, and the surrounding area. 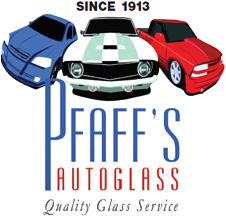 Pfaff's Auto Glass Inc provides car headlight restoration, as well as restoration for other varieties of vehicle headlights. When your lights become cloudy or yellowed, it can result in highly impaired driving visibility at night. Ensure you can see and be seen on the road by scheduling a headlight restoration service appointment with us. Even if your bulb is brand new, a foggy lens severely diminishes its brightness. 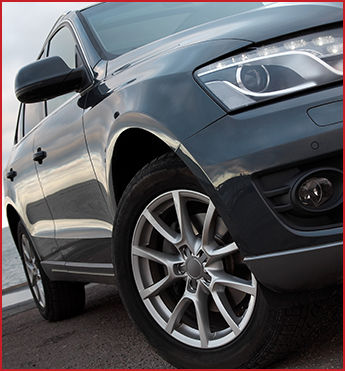 You need bright headlights so that you can clearly see any oncoming obstacles, turns in the road, and landmarks. Fully functioning headlights are also important to ensuring other drivers can see you. Keep yourself and your passengers safe by contacting our team for car headlight restoration. Avoid accidents by making an appointment for our headlight restoration service whenever you notice they need work. There are several signs that your vehicle may be due for car headlight restoration. If you look at the headlights on your vehicle and the lenses appear cloudy or yellow, it is time to have them cleaned and polished by our technicians. When you notice that your lights seem dimmer than usual or that your high beams are only a little brighter than your regular headlights, you need restoration. Finally, if the lenses are scraped or scratched, you may benefit from our headlight restoration service. For safe night drives, you need bright headlights. Our car headlight restoration process is full-service and highly effective. The fully certified technicians we employ are skilled at restoring headlight coverings and checking the bulb's performance. The opaque, yellowed surface covering the acrylic is carefully removed to make your headlights shine like new again. This cleaning and polishing process can increase your night-time driving visibility by over 100 percent. Since 1913, our company has been dedicated to keeping drivers like you safe on the road. Our extensive experience with car headlight restoration and other types of auto repairs allows us to provide high-quality services at a fair price. We also other services to keep your vehicle in top condition, such as auto glass repair, windshield replacement, and power window maintenance. Contact our shop to learn more about our effective headlight restoration service for cars, trucks, vans, and other vehicles. We proudly serve Winston-Salem, Greensboro, Oak Ridge, Summerfield, Mebane, and Burlington, North Carolina, as well as the surrounding areas.